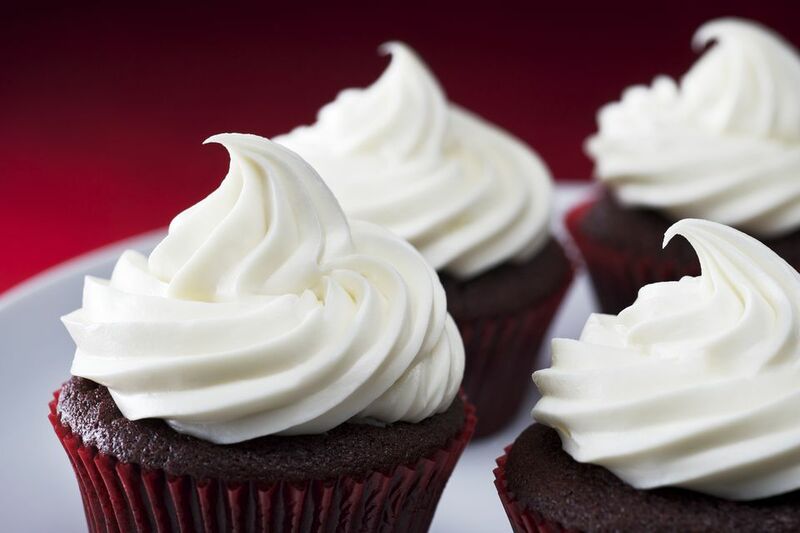 Basic buttercream is a simple frosting that is delicious on cakes and cupcakes. The most basic way to make it uses just butter, shortening, and confectioners sugar. Butter frostings offer a superior rich creamy mouthfeel, but they tend to melt easily, especially on a hot day or in a warm kitchen. On the other hand, frosting made with shortening is much more stable, but it tends to have a greasier mouthfeel. To get the best of both worlds, this frosting recipe uses both butter and an emulsified vegetable shortening like Crisco. By combining two parts butter and one part shortening, you get the classic mouthfeel with a more temperature stable frosting. Some types of buttercream involve cooking a sugar syrup, then drizzling it slowly into the egg whites. That is complicated. This simple buttercream recipe is made by creaming the fat and sugar together and then adding egg whites and flavoring. It's really easy. Some bakers make what is called "decorators buttercream." This uses all shortening, but these frostings aren't used for frosting a cake. They're used for making little decorative flowers and piping onto the cake borders, words, and other decorations. The recipe will make about 6 cups of frosting, which is enough to frost one round 10-inch or 12-inch two-layer cake. If you're frosting cupcakes, this recipe is enough for about 48 cupcakes, assuming about two tablespoons of frosting per cupcake. If you'll be piping the frosting on in a tall swirl, you should probably figure 24 cupcakes instead. Combine the butter, shortening, and sugar in the mixing bowl of a stand mixer. Using the paddle attachment on slow speed, cream the ingredients together until they are fully mixed. Now add the egg whites, vanilla, and lemon juice while beating at slow speed until the frosting is smooth, scraping down the sides of the bowl frequently with a rubber spatula. You can add a few drops of food coloring during this step if you want a colored frosting. Less is more with food coloring. Start with just a drop or two and then add a drop at a time until you achieve the desired color. To make chocolate frosting, melt ½ lb. unsweetened chocolate and let it cool. Then, during step #2 above, slowly pour the melted chocolate into the frosting. You can thin the frosting out with a little bit of milk or cream to achieve the right consistency. To make a delicious cream cheese frosting, make the basic buttercream frosting above but leave out the egg whites and substitute 1½ lbs cream cheese for the butter and shortening. This is a decadent topping for a homemade carrot cake. Don't beat the frosting on high speed and don't use the whip attachment. Whipping basically adds air to the frosting, which will make spreading it smoothly onto the cake very difficult. You can store this frosting in the fridge, covered in plastic wrap, for up to 10 days. If you do refrigerate it, let it come to room temperature and then just give it a quick whip before you use it. A little milk or water can help you get the right consistency if you find it's too thick. What Type of Cake is a Genoise Cake?